We’d love your help. Let us know what’s wrong with this preview of Unforgotten by Clare Francis. To ask other readers questions about Unforgotten, please sign up. Hugh Gwynne, in the middle of a court case, becomes obsessed with the idea that his wife, Lizzie, was killed by an arsonist. She had died in a fire at their home, a fire the police insisted was accidental, but nothing seemed to fit, there were too many things out of place. In the meantime, his client, Tom Deacon, a war veteran claiming PTSD after a car crash in which he saw his daughter burned to death, is furious with Hugh because Hugh had revealed some negative information about Tom that thre Hugh Gwynne, in the middle of a court case, becomes obsessed with the idea that his wife, Lizzie, was killed by an arsonist. She had died in a fire at their home, a fire the police insisted was accidental, but nothing seemed to fit, there were too many things out of place. In the meantime, his client, Tom Deacon, a war veteran claiming PTSD after a car crash in which he saw his daughter burned to death, is furious with Hugh because Hugh had revealed some negative information about Tom that threatens his case which had appeared headed for victory until an anonymous letter arrived with the information. Hugh's son Charlie has a history with drugs and Hugh worries that perhaps one of his contacts had killed his wife. But she was also involved in finding a witness to a killing that she had stumbled on while working with her clients in the projects. I had to give up on this 60 pages in. Not for me at all. Too much court drama in great detail and never felt the story was going anywhere. I may be wrong and if so, I stand corrected. Life is too short to keep going on a book that does not hold your interest. So very good. I seem to remember reading a Clare Francis years ago and enjoying it, this was no different. Great tale and great characters. Clever, believable twist. I will look out for more by her in the future. Lawyer Hugh Gwynne lives peacefully in a village nearby Bristol, with his wife Lizze and two adopted children Charlie and Lou. One day when he was away in London representing a case for his firm, Hugh's wife Lizze dies in fire accident in his house under suspicious circumstances. Police and fire brigade de Author..
Lawyer Hugh Gwynne lives peacefully in a village nearby Bristol, with his wife Lizze and two adopted children Charlie and Lou. One day when he was away in London representing a case for his firm, Hugh's wife Lizze dies in fire accident in his house under suspicious circumstances. Police and fire brigade departments decides to rule out this incident as "tragic accident" and close the file without any further investigation. But Hugh, is not happy and suspects this accident, as an arson murder, and wants further investigation from the PD.Without further cooperation from PD, Hugh hires private fire brigade officer John Slater and gets confirmed that his wife's death is not accidental but by arson, deliberately set to kill Lizze for silencing her from something unknown to Hugh. Who killed Lizze? For what purpose? Is it, by his Client Tom Deacon, claiming charges for his post traumatic stress after a car accident in which he witnessed the death of his young daughter Holly ? or, By Hugh's drug addict son Charlie and his friends , ready to go to any extent for getting the drugs and joints by robbing money? or because of,Lizze's active participation, in reopening the Jackson murder case, with a witness to prove the alibi of Denzil Lewis a wrongly convicted youth of Carstairs Estate, thereby helping police in finding the real culprit..? or by Police Department's corrupt black sheep (Steadman) getting bribes from gangsters to protect them? forms the rest of the plot..
Clare Francis writes crime fiction that has a haunting, ethereal quality to it, and that is certainly the case with this novel. The main character, Hugh Gwynne, is a lawyer who suffers a traumatic personal tragedy, whilst in the midst of an emotionally-charged child custody case for his client. Readers of courtroom dramas should enjoy this, and for those unfamiliar with Ms. Francis, her style sometimes reminds me of the writing of fellow British author Robert Goddard, and the crime fiction of cla Clare Francis writes crime fiction that has a haunting, ethereal quality to it, and that is certainly the case with this novel. The main character, Hugh Gwynne, is a lawyer who suffers a traumatic personal tragedy, whilst in the midst of an emotionally-charged child custody case for his client. Readers of courtroom dramas should enjoy this, and for those unfamiliar with Ms. Francis, her style sometimes reminds me of the writing of fellow British author Robert Goddard, and the crime fiction of classic British novelist Winston Graham. Like those authors, Clare Francis delivers multi-faceted characters and intriguing storylines that are embedded in otherwise everyday lives. Particularly engrossing in this tale is the portrayal of Gwynne, who believes the "accidental" death of his wife was something more sinister, despite this belief being dismissed by his family, his friends and the authorities. The measured, considered pace of the narrative draws you in to this family and the stark reality of dealing with a shattering event. It was a while since I last read a Clare Francis novel, and I can't, in all honesty, say that I was glad to have gone back to her. The plot of Unforgotten starts with a dreary civil court case about a chap suing an insurance company for a massive payout due to his apparent PTSD; I found this part of the story particularly tedious and almost gave up at that point. About a third of the way through the book shifts focus to Hugh, the main protagonist and solicitor, and his fight to discover who kill It was a while since I last read a Clare Francis novel, and I can't, in all honesty, say that I was glad to have gone back to her. The plot of Unforgotten starts with a dreary civil court case about a chap suing an insurance company for a massive payout due to his apparent PTSD; I found this part of the story particularly tedious and almost gave up at that point. About a third of the way through the book shifts focus to Hugh, the main protagonist and solicitor, and his fight to discover who killed his wife by setting fire to their house. I have to say, that none of it really grabbed me, and on the whole I felt pretty disinterested in the story; Francis needs to focus more on plot - if it's badged as a thriller, the story's got to keep moving, even if it isn't that exciting. She has a somewhat detached style, and there's no real passion and drive in her writing. I struggled to finish this one, by the end not caring very much at all about these lacklustre characters. Not one that I'll recommend and it's likely to be at least another ten years , if at all, before I pick up another one of her books. This is the first book by Clare Francis that I can remember reading, and whilst it was a reasonable read, I can't say I will be searching out other books by this author. It concerns a lawyer representing a client claiming damages for post traumatic stress following the death of his daughter in a horrific car accident. The lawyer's wife is then killed in a house fire which he is convinced was arson. It was a good enough story but for me it lacked pace, it seemed ages before we got to the main plot, This is the first book by Clare Francis that I can remember reading, and whilst it was a reasonable read, I can't say I will be searching out other books by this author. Hugh Gwynne is a lawyer working on the most difficult case of his career, claiming damages for his client, Tom Deacon, who is suffering from PTSD after being unable to save his young daughter from burning up in a car accident. Hugh and his wife Lizzie have raised two children, Charlie and Lou. Both children are adopted and Lou is doing well, although Charlie is getting past his drug addiction. When something happens to throw Hugh's personal life into turmoil, he gives way to his instincts against Hugh Gwynne is a lawyer working on the most difficult case of his career, claiming damages for his client, Tom Deacon, who is suffering from PTSD after being unable to save his young daughter from burning up in a car accident. Hugh and his wife Lizzie have raised two children, Charlie and Lou. Both children are adopted and Lou is doing well, although Charlie is getting past his drug addiction. When something happens to throw Hugh's personal life into turmoil, he gives way to his instincts against police advice. Upon completion the word that came to mind and stayed there two days after was, drum roll please….. average. Yep average in every way - not always a bad thing this was perfect to read before bed but not really one to rave about. A moderately intriguing story line which took some time to build. Once we got there essentially it is about a dependable sort of chap representing a less than dependable chap claiming damages for post traumatic stress disorder (PTSD). A few surprises follow that are best Upon completion the word that came to mind and stayed there two days after was, drum roll please….. average. Yep average in every way - not always a bad thing this was perfect to read before bed but not really one to rave about. A moderately intriguing story line which took some time to build. Once we got there essentially it is about a dependable sort of chap representing a less than dependable chap claiming damages for post traumatic stress disorder (PTSD). A few surprises follow that are best not discussed as it would require a spoiler alert. Ending in a way that provides satisfaction and a desire for slightly more engaging next read. This was the second Clare Francis book I read and I didn't enjoy it as much as Deceit. That said, I did enjoy it! I liked the hero very much, and found it hard to take when things changed for him drastically, though of course I realised we had been set up for it - clever writing! I found the build-up of the clues confusing, and the denouement was rushed for me. I gather Clare Francis was ailing when she wrote this book, and perhaps that's why. I'd like to read more of her. I still think she write This was the second Clare Francis book I read and I didn't enjoy it as much as Deceit. That said, I did enjoy it! I liked the hero very much, and found it hard to take when things changed for him drastically, though of course I realised we had been set up for it - clever writing! I found the build-up of the clues confusing, and the denouement was rushed for me. Is Post Traumatic Stress real? Plagued by nightmares, guilt, depression and other PTS symptoms, Tom Deacon, tries to outsmart the legal system. Clare Francis creates great tension that is not resolved until the end. The two story lines can be confusing at times. FS: "Hugh Gwynne arrived at the Royal Courts of Justice soon after nine thirty and made a quick intersection of the noticeboard and the location of Court 12 before stationing himself to one side of the Great Hall to wait for the rest of the team." LS: "And in the moments when his mind wandered he would remember love and kindness, he would disallow the rest." A good easy read, which one tends to dwell on after the book is finished. Clare Francis builds her plots around the sort of people one meets in everyday life and she does it very well indeed, creating interesting diversions around personality issues. Should probably be rated more than three stars. I wasn't sure where this novel was going to take me as the early chapters were all focused on a particular court case and the murder, when it happened, was unexpected. What I liked most about this piece of crime fiction was the relationship between the lead protagonist and his family. I really liked the last Clare Francis book I read, but I found this one disappointing, not really gripping, the two strands of plot seemed totally separate and neither was that interesting. Oh well. Poor, poor, poor I'll be leaving it on the boat! Felt like a final twist never happened, not very satisfying ending. Good mystery detective story. Quick summer read. 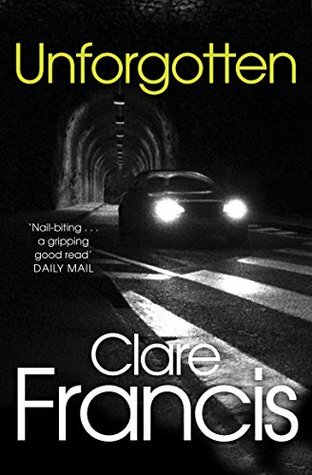 I like Claire Francis' novels, she manages to keep the tension going and hides the twists and tunrs of the plot well. Written for readers who like strong characterisation developing as the intrigue unfolds and the story game rtf hers pace. Will read more by same author. I never got past page 30. I didn't like the writing. Sorry. Too many POV changes within a sentence, therefore no chance to actually connect with the MC. Sorry I couldn't leave a better rating. A fine read that kept my attention from start to finish. I thought I had it sorted but was thrown a curve at the end. Well done!! This was my first Clare Francis book I enjoyed it but it's not on my to read again list. Interesting with twists to the plot! Clare Francis's first novel; Night Sky was published in 1983 to international success. It went to number one in the Sunday Times bestseller list, and spent six weeks in the New York Times top 10. Three more thrillers followed, Red Crystal (1985), Wolf Winter (1987) and Requiem (1991), which was published in the U.S. as The Killing Winds. Her first crime novel, Deceit was published in 1993, and dram Clare Francis's first novel; Night Sky was published in 1983 to international success. It went to number one in the Sunday Times bestseller list, and spent six weeks in the New York Times top 10. Three more thrillers followed, Red Crystal (1985), Wolf Winter (1987) and Requiem (1991), which was published in the U.S. as The Killing Winds. Her first crime novel, Deceit was published in 1993, and dramatised for television in 2000. Four other highly successful crime novels have followed, and a highly acclaimed literary novel, Homeland. Her latest crime novel Unforgotten has just been published. Her books have been translated into 20 languages and published in over 30 countries. Clare was born in Thames Ditton, Surrey, the younger of two sisters. Christmas holidays were spent with her grandparents in a remote corner of the Yorkshire Dales where she developed the love of landscape that is a feature of so much of her fiction. Summer holidays were spent on the Isle of Wight, where she learnt to sail at the age of nine. After five years at the Royal Ballet School she went to an A-level crammer in Oxford (where she appeared in the university revue Keep This to Yourself), then to University College London, where she obtained a degree in Economics. She worked in marketing for three years before taking a year out to travel and discover what she really wanted to do. What began as a personal odyssey turned into what she terms her 'unplanned' five-year career in sailing. The odyssey was an unsponsored and unsung solo voyage across the Atlantic, during which she read, listened to music and tried her hand at writing. Soon after, Clare was offered sponsorship to take part in the Round Britain Race with Eve Bonham. This was followed by the Azores and Back Singlehanded Race, the Observer Singlehanded Transatlantic Race, and, with a crew of eleven, the Whitbread Round the World Race. It was after writing three works of non-fiction about her adventures, Come Hell or High Water (1977), Come Wind or Weather (1978), and The Commanding Sea (1981) that Clare took the leap into fiction. In 1977 she married Jaques Redon with whom she had a son, Tom, in 1978. She is an MBE, a Fellow of University College London, and an Honorary Fellow of UMIST. She has served as Chairman of the Society of Authors (1997-99) and Chairman of the Advisory Committee on Public Lending Right (2000-03). For the past twenty years she has been commited to the charity Action for ME, of which she is President, a trustee and member of the Council of Management. She herself has had ME (also known as Post Viral Fatigue Syndrome or Chronic Fatigue Syndrome) for many years.